Home to high-rise five star hotels, the two-kilometer stretch of Palm Beach is the place where tourists and locals enjoy the beauty of Aruba and the vast southern Caribbean Ocean together. From aquamarine water and gorgeous white sand, Palm Beach is a must-visit beach in whole of the Aruba. Palm Beach with its colossal building and fabulous shopping area has special segway tours with which tourists can enjoy their experience more at Palm Beach. Thrill of riding Segway combined with beautiful scenery and exquisite view of the ocean makes the trip to Palm Beach even more terrific and first-class. Palm Beach in Aruba is renowned for its magnificent Sunrise and hot afternoons when you can just lounge and laze around the beach and later explore the island on your thrilling Segways. Many tourist places on Palm Beach in Aruba offer Segway tours. The one or two hour tours offer perfect balance of fun and adventure. Guided tour with chilled local beverage and many camera clicking opportunities, you can spend your time enjoying and chilling out with your family on the thrilling segways. These affordable Palm Beach tours are made to make your trip to the gorgeous Caribbean island all the more fun and enjoyable. 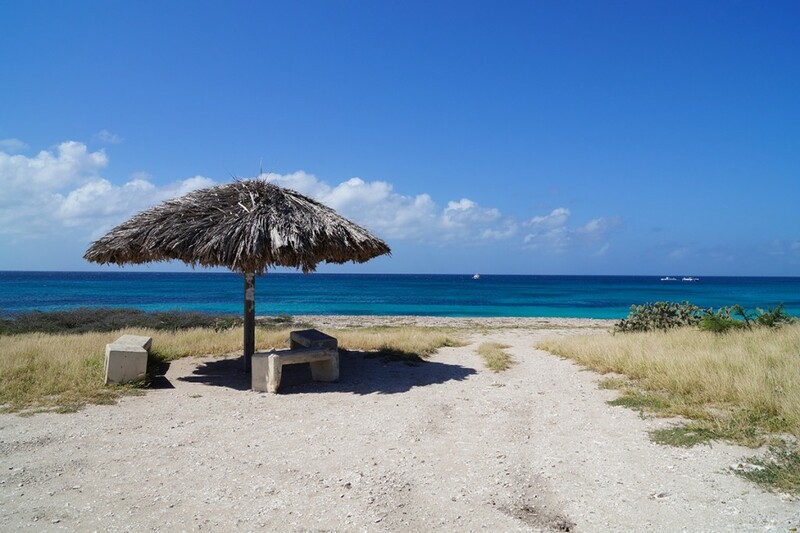 From diving, underwater tours to water sports and segway tours, Palm Beach of Aruba has it all. Palm Beach offers you an ultimate opportunity to enjoy your vacation, forget about the responsibilities, hardships and stress in Aruba. You can do windsurfing, kite surfing or just take pleasure in the gigantic southern Caribbean beach. Enjoy your time in Palm Beach and Aruba by indulging in the thrilling and exiting Segway tours. With responsibilities and work weighing down, sometimes it is necessary to take a trip to the unknown, trip to a place where you can relax without worrying about anything; a place where you can have fun in sun and relax without thinking about your responsibilities. Caribbean island, Aruba is 15 miles off the coast of Venezuela and is known among the travelers for its calm beach, cooling trade winds and gorgeous natural beauty. Magnificent island of Aruba with its turquoise waters, and white sand, is made to be discovered with love. You cannot think about going out in car and just shopping in malls. There are loads of tours and activities in Aruba that can be enjoyed with family, friends or with your special someone. From stunning beaches to dazzling lighthouses, a special place like Aruba should be toured on a special vehicle on which you can see the beautiful scenery and yet always remain picture perfect. Segways, the two-wheeled, self-balancing and eco-friendly vehicle is made for enjoying Aruba. 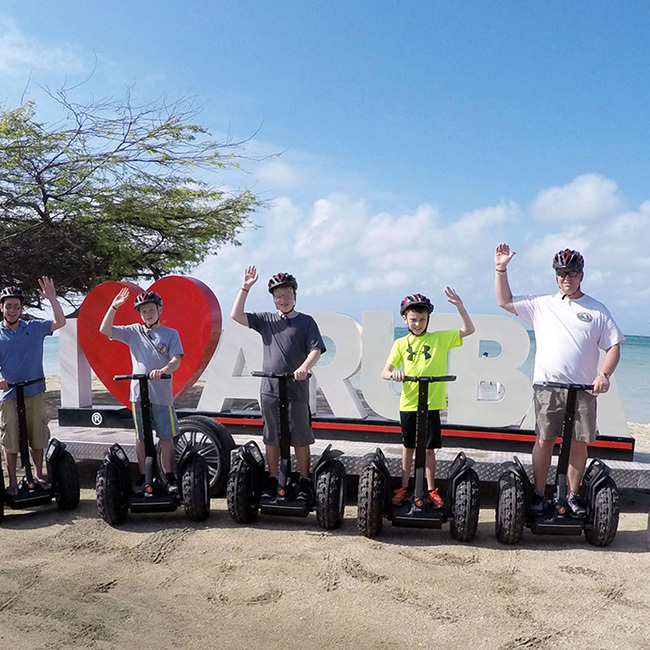 Segway tour and activities in Aruba includes visiting striking California Lighthouse, the beacon of Aruba for 120 minutes, 60-minutes guided tour along the prestige narrow sandy stretch of Malmok beach and exclusive private tour of the island for couples and family. It is not surprising to see herd of wild goats roaming around the south of the lighthouse which you are enjoying the beach on your segways. Segway tours and activities in Aruba are famous for their fun endeavors. You can spend whole day riding segways and enjoying your segway tours and activities without taking notice of time. Time flies in Aruba when you enjoying the sun and the beautiful destination.